Raspberries are superberries with powerful anti-oxidants and rich source of vitamins and minerals. Raspberries are outstanding sources of vitamins C, b and E. they are also rich in health-enriching minerals such as manganese, iron, copper and magnesium. One cup of ripe raspberries provides almost 50% of our daily requirement for Vitamin C, 60% of our manganese RDA and 20% of dietary fiber. Raspberries provide us with a power-packed collection of diverse phytonutrients that exhibit excellent anti-inflammatory and anti-oxidant benefits. The high proportion of polyphenols (known as ellagic acid) in raspberries makes it an excellent food to fight cancer. Research indicates raspberries to be particularly beneficial for prevention of breast, colon, prostate and esophagus cancer. Additionally this low calorie, fat-free and fiber-rich berry possesses an amazingly high ORAC value (oxygen radical absorbance capacity) of approx. 4900 per 100gms. Higher the ORAC value, higher is the ability to absorb the oxygen-scavenging free radicals. Thus raspberries provide protection from various diseases and aid in neutralizing the damaging effects of free radicals on our cells and vital organs. It is interesting to note that products like raspberry ketone (rheosmin) and flavonoid ‘tiliroside’ have garnered special interest with respect to obesity and diabetes management. Thought he studies are still in early stages, eating raspberries is considered to improve fat metabolism, enzyme activity, and lower the absorption of fat. 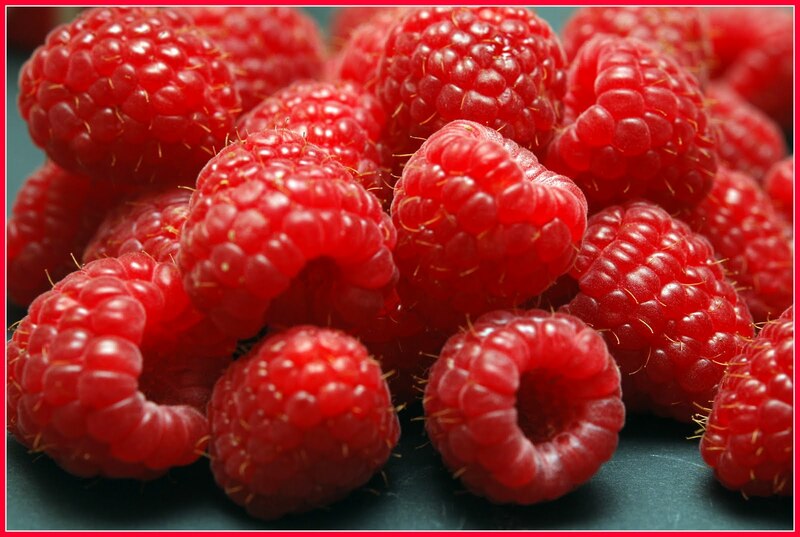 Research indicates raspberries may help in boosting insulin functions, blood sugar and lipid balance. It may also prevent the obesity and diabetes-related long term health consequences. Being of low glycemic index (40-50) and high in dietary fiber, raspberries are better at managing weight gain and sugar levels. The anthocyanin’s in raspberries aid in straightening circulatory system, improving blood flow within the veins and decreasing LDL cholesterol deposits. They play an important part in preventing heart disease, premature ageing and various neuro-degenerative disorders. Raspberries contain considerable amount of a naturally occurring substance called oxalates. While most health practitioners encourage eating whole fresh fruits, including black and red raspberries; if you are on a low oxalate diet or have kidney stones, consulting your physician before gorging on the berries would be a good ides. 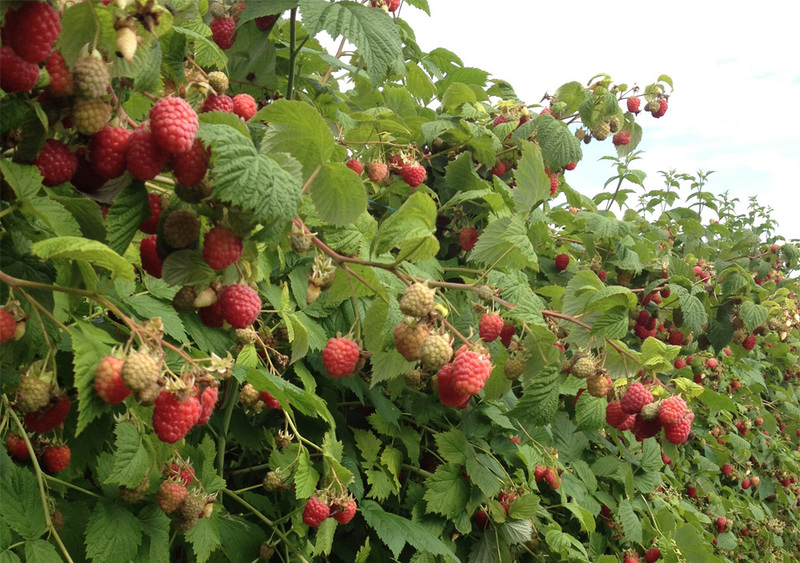 It is not just the berries, but raspberry leaves also share a long history of medicinal benefits. Tea made from raspberry leaves is known to ease common cold, sore throats, body aches and digestive troubles like diarrhea.